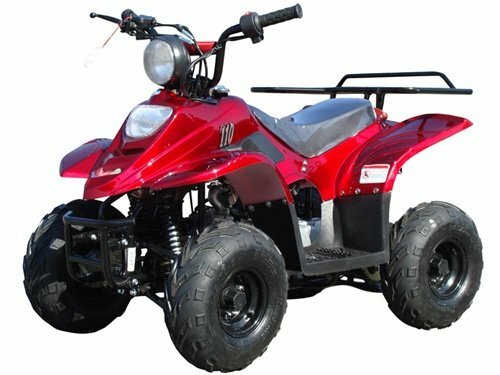 The TaoTao ATA-110B3 Kids ATV has power that will surprise you, surpassed only by it's safety features and affordability. Please see our 'Shipping, Assembly and Maintenance FAQ' page (click the 'View Shipping Rates and Policies' link below) for important information before purchasing. Before Purchasing:: Please see our 'Shipping, Assembly and Maintenance FAQ' page (click on the 'View Shipping Rates and Policies' link below and scroll down) for important information regarding assembly and maintenance. If you have any questions about this product by TaoTao, contact us by completing and submitting the form below. If you are looking for a specif part number, please include it with your message.